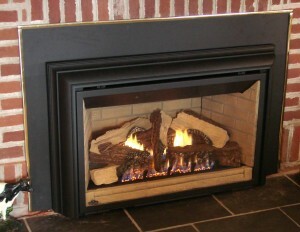 We sell and install a variety of gas logs and Direct Vent gas stove inserts. Gas logs offer a clean and simple alternative to a wood burning fireplace. They’re easier than you think to install and use. Instead of chopping wood out in the cold, you can flick on a switch to have a romantic warm fire burning in your fireplace. 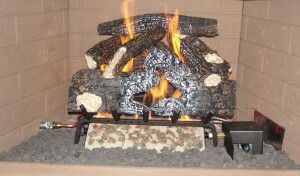 Direct Vent Gas Inserts burns cleaner and is more efficient than standard gas logs. This system doesn’t change the air quality within the home and it uses outside air for combustion and vents all combustion air to the exterior of the home. Be sure to check out our Coupon Specials! We have new offerings on a regular basis so be sure to check back often!